Violation: distributing 17 demolishing orders, a step towards annihilating the whole village. Location: Khirbet Bir al ‘Idd, Eastern Yatta, Hebron Governorate. Violators: the Israeli Occupation Supreme Court and Armed Forces. Victims: Khirbet Bir al ‘Idd dwellers. 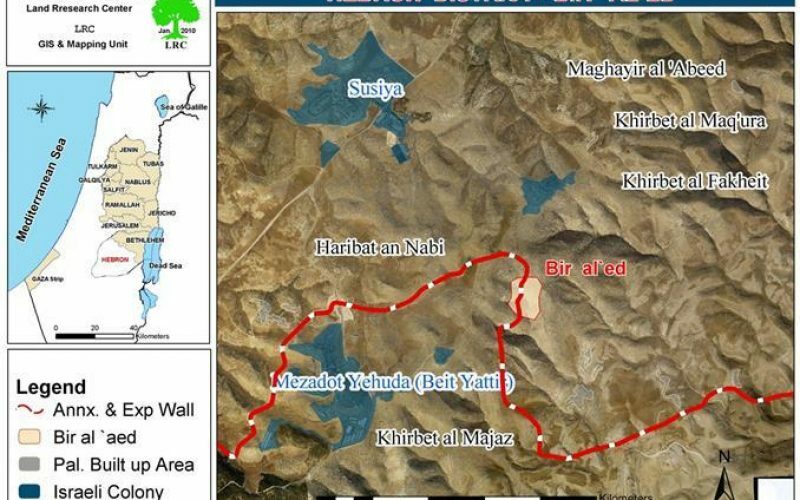 The ruin (Khirbet Bir al ‘Idd) is located in ‘Al Musafer area’ to the east of Yatta town. It is inhabited by farmers and shepherds since 1967. There is a natural well in the area which the locals use for watering livestock. 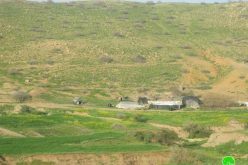 Khirbet Bir al ‘Idd has no modern structures. The people live in tents and caves which shelter them and their cattle. 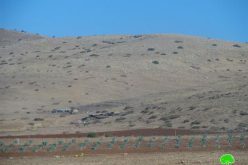 Concurrently with the beginning of the Second Intifdada in September 2000, the Israeli Occupation Army ordered the immediate eviction of Khirbet Bir al ‘Idd. 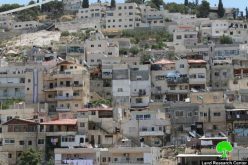 The order was rejected by the residents of Khirbet Bir al ‘Idd who believed in their right of residing peacefully in their lands. 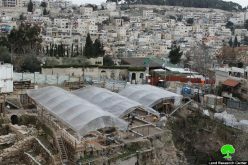 The people’s response was suing the Israeli Army in order to stop the evacuation order and allow them to go back to their ‘houses’. They tried to get as much help as possible by referring to lawyers as well as different humanitarian organizations operating in Palestine. 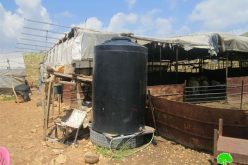 Picture 3+4+5: the residents’ tents built within the areas used previouslyas barns in order to meet the Israeli Occupation Army conditions. 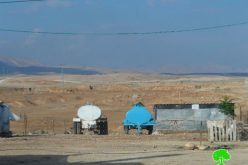 At last, people of Khirbet Bir al ‘Idd were able to return to their homes despite the burdensome requirements imposed on them. Some local and international humanitarian organization offered the people some assistance by providing them with food, tents, etc. The locals built their tents as were ordered in the areas that used to be used as barns. 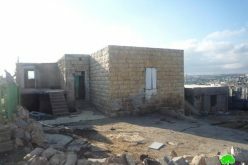 However, the Israeli Occupation Army had different plans, on January 4, 2010, the Israeli Occupation Army handed ‘Abu Nassir’, a resident of Khirbet Bir al ‘Idd 17 demolition orders. The demolition orders included any signs of construction, tents, barns, caves, even the only toilet in the area. 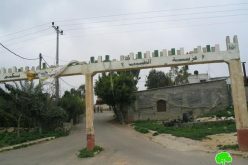 Abu Nassir considered the orders as a method to clear the area from its inhabitants. He wondered:’ where did the Israeli Supreme Court orders that brought us back to our homes go? Although we had committed ourselves to the orders and built our tents in the areas specified in those orders but it was of no use. Besides, we did not renovate the only road that leads to the ruin’. *the area mentioned is the area of the residential tents only, barns areas are not known.